THE global battle to stop millions of cats and dogs being bludgeoned, butchered and blowtorched for meat has scored a groundbreaking victory. Days after Express.co.uk highlighted how killing pets in blood-soaked street markets was creating dangerous rabies risks, officials in the Far East have ordered an outright ban. Animal welfare campaigners were today celebrating Indonesia’s decision to end the slaughter of thousands of cats and dogs – only 24 hours after the UK was drawn into the controversy. Although Britain has a commercial trade ban on selling dog meat, current laws do not outlaw killing the animals to eat nor actually serving them up as food. Downing Street says it will be looking at new US regulations which ban importation, trade and consumption of meat from dogs. While the UK looks at the issue, Indonesia, which has 200 markets selling pets for food, is pledging to clamp down on the barbaric practice, which has sparked worldwide outrage. 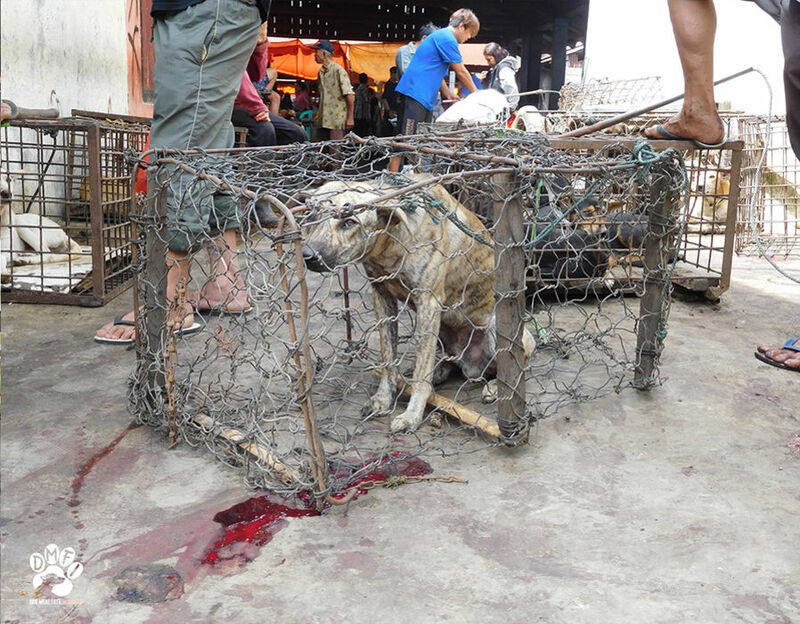 Horrific video emerged earlier this year of dogs being slaughtered in open view at well known markets on the tourist circuit of North Sulawesi. Many of the thousands of cats and dogs ending up as market meat are abducted street animals or pets that have been stolen. 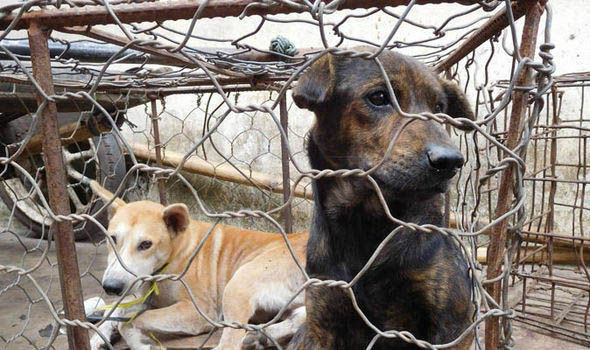 Up to 730,000 dogs a year are said to enter the Indonesian capital of Jakarta to be eaten.